The Challenging Behavior Service originated in 2009 with contracts from the Iowa Department of Education to create Advanced* Level practitioners in the area of behavior assessment in the school setting (*term adapted from the National Institutes of Health Competency Proficiency Scale). Trainees have to pass a knowledge-based exam at the advanced level, report frequent use with key assessments, and demonstrate independence in targeted-skill areas prior to being credentialed as Advanced. Since beginning the service, CDD has provided training to all nine Area Education Agencies (AEA), as they developed their Challenging Behavior services. 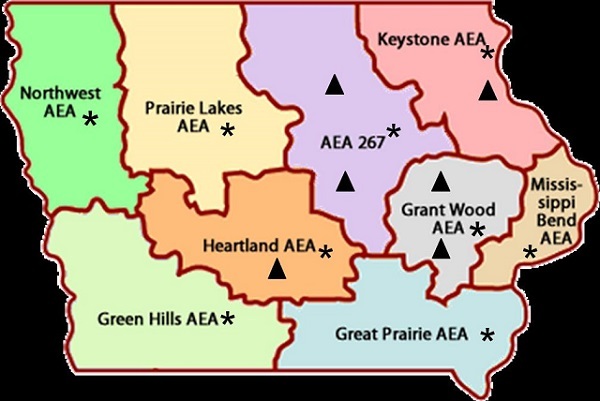 AEAs provide supports to students receiving special education in Iowa. In general, most trainees spent two to three years before meeting all criteria. We have trained over 30 practitioners, with 26 currently being a Challenging Behavior team member. All AEAs have at least one team member that we have trained. These team members are training new members and also training AEA staff in conducting functional behavior assessments. In 2013, we began to train school-based behavior teams hired by local school districts in the state. Teams have been formed in six school districts: Cedar Rapids, Council Bluffs, Des Moines, Dubuque, Fort Dodge, Iowa City, Marshalltown, Mason City, and Waterloo. Several graduate students working towards doctorates in School Psychology joined the trainers during the trainings. Our consultant and colleague from the Iowa Department of Education is Sean Casey, Ph.D., Challenging Behavior Consultant. Prior to training, behavior consultants typically used indirect methods and naturalistic assessments. During the training, however, they learned to conduct experimental analyses to make more effective behavior plans.